Earth-2 Power Girl Set To Return in Deathstroke? Could This Give Us Insight Into The Futures Of The Justice Society And The Earth-2 Huntress? Spoiler's Ahead! It has been a slow two years for Justice Society fans. With Rebirth about to come to a close, there has been very little in the way of actual stories surrounding the Justice Society's mysterious disappearance since the start of the New 52 universe. There have been hints and teases sprinkled throughout the Rebirth era, but DC has done little to communicate what Justice Society fans can expect from their return. 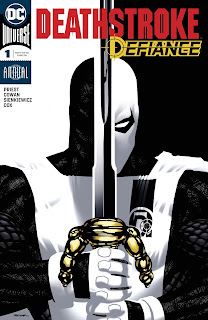 Well, it looks like we may not have to keep waiting that much longer as one major JSAer made a surprising comeback in this week's Deathstroke Annual #1: the Earth-2 Power Girl! 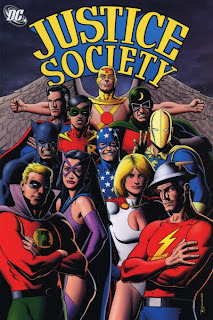 Justice Society Vol. 2: How Do I Buy Helena Wayne's Earlier JSA Adventures Digitally? In addition to Huntress: Dark Knight Daughter (aka the definitive Helena Wayne Huntress book), another book I always recommend fans to check out that is regrettably also out of print is Justice Society Vol. 2. Now, Justice Society Vol. 2 does more than just collect the first three years of Helena Wayne's adventures with the Justice Society. It also collects "The Death of Batman" story arc from Adventure Comics #461-463, which was considered back in 1979 to be a major event. It was not a storyline that sent off a version of the famous caped crusader, but the Golden Age original. This final farewell to the Batman that started it all in 1939 helped set his daughter up to take up his legacy full time and continue building on DC's Golden Age mythos. Summary: It has been a wild ride for the Huntress. 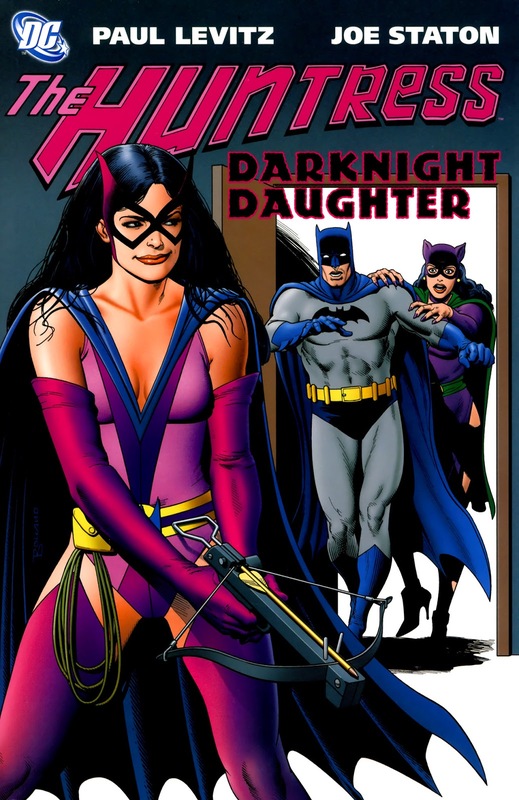 From the moment she took on the cases of the Mechanic, Pat Pending, and the Undertaker, all of which led her to Arkham Asylum where she was shot with a potent cocktail of hallucinogens, Helena Wayne is more than happy to get back to her normal routine of being a lawyer by day and the Huntress by night. But are things really back to normal for the Huntress, or are things just getting started? As the downward spiral of Helena Wayne's life continues, she is met with a new set of friends and foes, one of which is the ambitious reporter, Nedra Borrower, who is out for the Huntress' blood! I Can't Buy Huntress: Dark Knight Daughter In Print. How Do I Buy It Digitally? Hello! Happy New Year! Well...as "happy" as it can it get under current circumstances that is. I completely understand if many are still feeling like Dr. Manhattan on Mars. I'm personally still on that boat myself. However! I do want to keep sharing my favourite Helena Wayne Huntress stories with all of you. One of the things that did make me happy last year was celebrating Helena's 40th anniversary and it was certainly fun examining the character's entire publication history.